Weddings at Askham Hall, Askham. Last Friday I had the pleasure of being the wedding Dj at Askham Hall in Askham which is only a few miles from Penrith in Northern England. It was the first time I had visited Askham Hall and I always like to find new venues that I haven’t been to before. Askham Hall is in a quiet rural village location but is only a few miles from the M6 motorway so it’s very easy to get to. Just come off the M6 and head along the A66 towards Penrith and it’s a right hand turn at the second roundabout and a few miles after that your there. I think it was around 4 miles from memory. The function room at Askham Hall is in a converted barn which is on three levels. The toilets are on the ground floor and the function room is on the first floor which is actually at ground level on the other side of the building as it’s built on a slope. 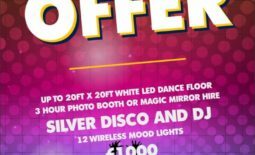 From a Dj’s point of view it’s a dream to set up your mobile disco. You can reverse right up to the double doors and it’s 6-8 feet to where your going to set up. Believe me when your carrying lots of heavy disco equipment venues like this are a dream come true for a Dj. Askham Hall has fantastic access for your entertainers. The thing that really impressed me about Askham Hall was the staff. The first member of staff I talked to was Simon who was very friendly and welcoming and he showed me where I was to go and how to get in etc. He was such a nice guy and I just knew I was going to have an enjoyable night entertaining at this wedding. It’s amazing how the staff at a venue can make the mood of the wedding guests and the Dj so good! All these things really matter and the staff at Askham Hall are outstanding. 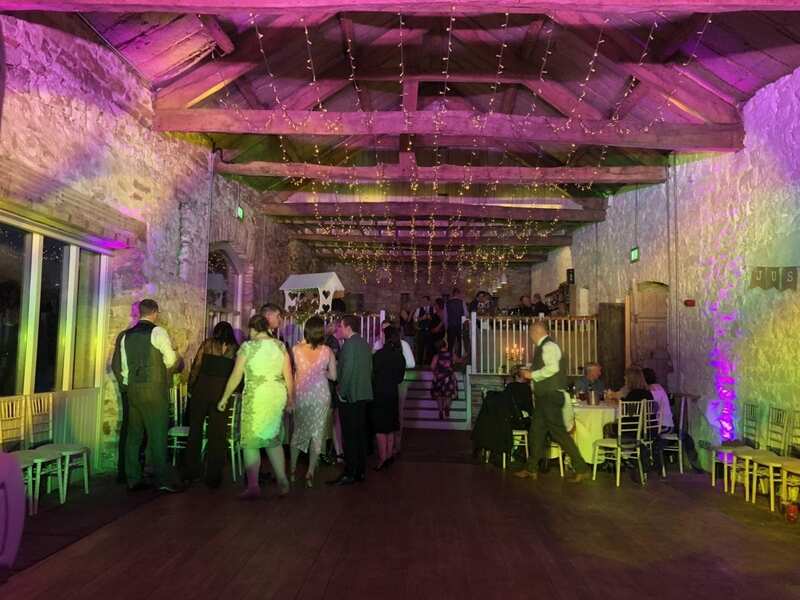 Askham Hall is also very beautiful with wooden beams in the roof and a flagstone floor at the disco end with a wooden dance floor just in front of where I set up. Behind me was a curtain which hid another raised seating area for larger weddings. At the other end of the function room was another raised area where the bar was and more seating. Having the bar in the same room as the Dj is a must and at Askham Hall the layout is perfect. 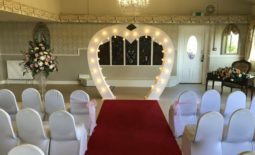 Askham Hall has a really nice feel to it, the location, beauty and great staff make this a venue I’d definitely recommend and will be delighted to visit again. Askham Hall also has beautiful gardens for your wedding photographs and this is also very important. i was discussing life as a Dj with one of my best friends Mark and we thought we had seen and experienced it all, but yet again I had another first at Askham Hall. A large pizza was brought across to me while I was at my mobile disco while the buffet was being served. I was told “this is for you”. I was very surprised as in 43 years this has never happened before! I said “thank you” and ate my lovely cheese and tomato pizza. At the end of the night I was talking to Simon and Callum from Askham Hall and I mentioned that this pizza experience was a first and they said that they always look after their entertainers! I had two cups of coffee made for me too and I was offered a drink from the bar, but I’d brought a bottle of water with me so I declined. This amazingly friendly and wonderful service really made an impression on me and I hope that this type of welcome is copied throughout the country. Askham Hall is a shining example of the way it should be! In my 43 years experience as a Dj I’ve experienced some awful hospitality from sone very well known venues like Gleneagles Hotel and Archerfield at Gullane so when you get amazing service like this at Askham Hall you really appreciate it. One of my other favourite venues I do is fairly close by and that’s the excellent County Hotel in Hexham where I’m always welcomed by Fiona and her staff every year for their New Year’s Eve party. Service and friendliness there is 5 star too! My disco and mood lighting at a wedding in Askham Hall. One of other favourite venues is Cameron House on Loch Lomond in Scotland, where I was also treated like a king. I really can’t stress enough how this affects the mood of your Dj or band and it does reflect in our performance as we are human too! I thoroughly enjoyed everything about this venue and if your getting married it’s a venue you should definitely go and see!